The American Telemedicine Association (ATA) is the leading international resource and advocate promoting the use of advanced remote medical technologies. ATA and its diverse membership, works to fully integrate telemedicine into transformed healthcare systems to improve quality, equity and affordability of healthcare throughout the world. Established in 1993 as a non-profit organization and headquartered in Washington, DC, membership in the Association is open to individuals, healthcare institutions, companies and other organizations with an interest in promoting the deployment of telemedicine throughout the world. 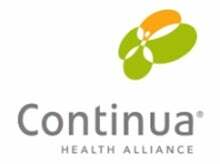 Continua Health Alliance, an international not-for-profit industry group, is the leading organization convening global technology industry standards to develop end-to-end, plug-and-play connectivity for personal connected health. Continua is dedicated to the development of Design Guidelines and test tools to expedite the deployment of personal connected health devices and systems that will dramatically improve health management, clinical outcomes and quality of life. The Alliance’s activities include a certification and brand support program, events and collaborations to support technology and clinical innovation, and outreach to employers, payers, governments and care providers. Health 2.0 promotes, showcases, and catalyzes new technologies in health care through a worldwide series of conferences, prize challenges, code-a-thons, education programs, and more. The company also provides consulting services to help track and forecast market activity. The Health 2.0 community spans four continents and encompasses health care and technology activities, news coverage, and community updates. IEEE is the world’s largest technical professional organization dedicated to advancing technology for the benefit of humanity. Through its highly cited publications, conferences, technology standards, and professional and education activities, IEEE is the trusted voice on a wide variety of areas ranging from aerospace systems, computers and telecommunications to biomedical engineering, electric power and consumer electronics. A true American brand, Malcolm DeMille, Inc. was founded in Southern California in 1989. For nearly 25 years, clients have recognized MDI as a renowned jeweler, artisan, and sculptor known for its craftsmanship, quality materials and pioneering techniques. Distinguished by its premier manufacturing of sculptural statues, trophies, awards and custom jewelry, MDI has created some of the sports world’s most celebrated trophies and jewelry pieces, including those honoring the AT&T National, the U.S. Open, the PGA Championship and the Ryder Cup. Headquartered in Nipomo, CA, MDI has created works which have found their way to the figurative mantelpieces of companies as diverse as Buick, Disney, Nabisco, and the Orlando Magic to name a few. In 2011, MDI created an original trophy piece for the Wendy Schmidt Oil Cleanup XCHALLENGE and has been tasked with the newest trophy assignment for the Nokia Sensing XCHALLENGE. MEMS Industry Group (MIG) is the trade association advancing MEMS across global markets. MIG enables the exchange of non-proprietary information among members, provides access to reliable industry data that furthers the development of MEMS technology, and promotes the greater commercial development and use of MEMS and MEMS-enabled devices. Visit www.memsindustrygroup.org/members for a complete list of members. Open Photonics Inc. (OPI) accelerates early-stage product development, innovation and research and development for global clients that seek photonic based solutions as part of their strategy and product roadmap. Open Photonics manages a completely new type of open innovation and crowd-sourcing grant program, Photonic Horizons™, to harvest technology and new product ideas sitting dormant within garages, universities or small companies and matches them with more established companies looking to bring these ideas to market via their established processes and channels. OPI only engages clients and projects encompassing the commercialization of photonics technologies. Shimmer is a leading provider of wearable wireless sensing technology and solutions. Their products and solutions are trusted and utilised by the world's brightest start-ups, Fortune 500 companies, and leading universities - shipping to over 60 countries worldwide. Enabling rapid development of applications, Shimmer provides high quality, scientifically reliable biophysical and movement data in real-time. With complete control over the quality of data capture, interpretation and presentation, Shimmer overcomes the challenges of size, reliable communications and low power consumption. The Wireless-Life Sciences Alliance (WLSA) is a special purpose trade organization committed to accelerating the adoption of innovative healthcare technologies. Our community includes CEOs, senior level executives, entrepreneurs, companies of all sizes, foundations, educational institutions, scientists, physicians, and policy makers. WLSA is dedicated to creating value and improving health, globally, by accelerating the adoption of technologies that empower consumers and innovative institutions. WLSA partners and companies all over the world are using wireless and connected health innovations to better manage chronic conditions, preempt disease and improve the lives of the elderly and under-served populations around the world.